Where to put your badges! We wear our Activity badges on the left arm. We wear our “Moving on” and Participation awards on our left chest. We wear our Membership award on our front pocket. We wear our Challange awards on our right chest. We wear the Union jack flag on top of our Challenge awards. We wear the group name, the district badge, the region badge and the leadership badge on our right arm from top to bottom. 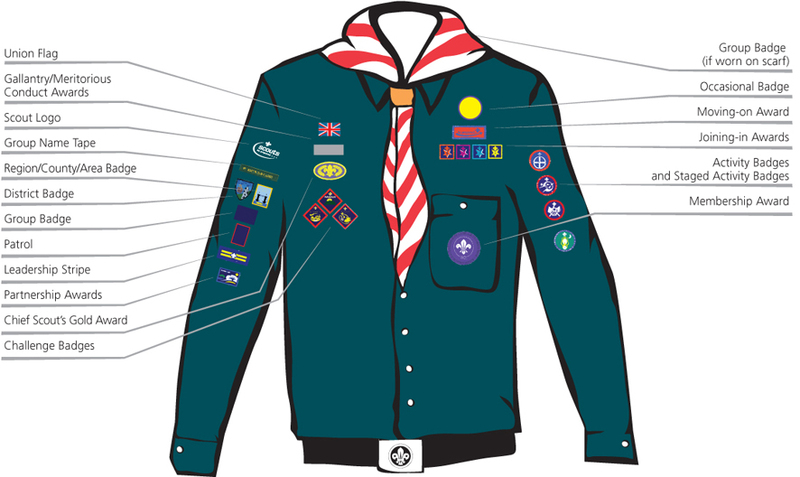 Note: When a child moves from from Cubs to Scouts the Staged badges move up with them.